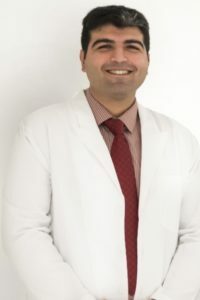 Dr. Varun Gogia is a consultant and lead surgeon with Noble Eye Care, Gurgaon. Dr Varun Gogia is a dedicated Ophthalmologist with specific expertise in Cataract, Vitreo-retina, Uvea and Retinopathy of Prematurity. Dr. Varun Gogia has received his training from Dr. Rajendra Prasad Centre for Ophthalmic Sciences, All India Institute of Medical Sciences, New Delhi where he was awarded Best Junior Resident in Ophthalmology for his outstanding clinical acumen and patient care. Dr. Varun Gogiawas a consultant with Medanta-The Medicity hospital and managed the vitreo-retinal services there.